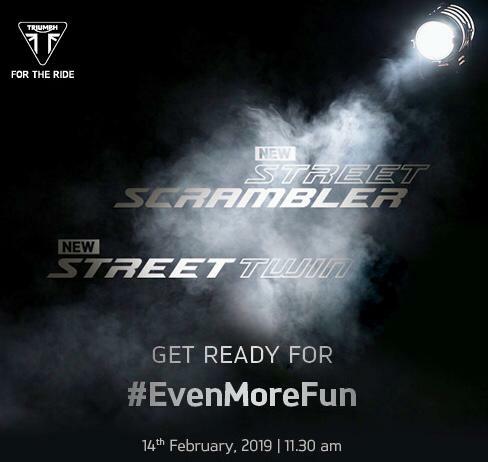 It’s official, yeah, that’s right, Triumph India will launch the 2019 Triumph Street Twin and Street Scrambler motorcycles in India on the special occasion of Valentine’s Day. The launch of the motorcycles was announced on the official Twitter Handle with #Evenmorefun. 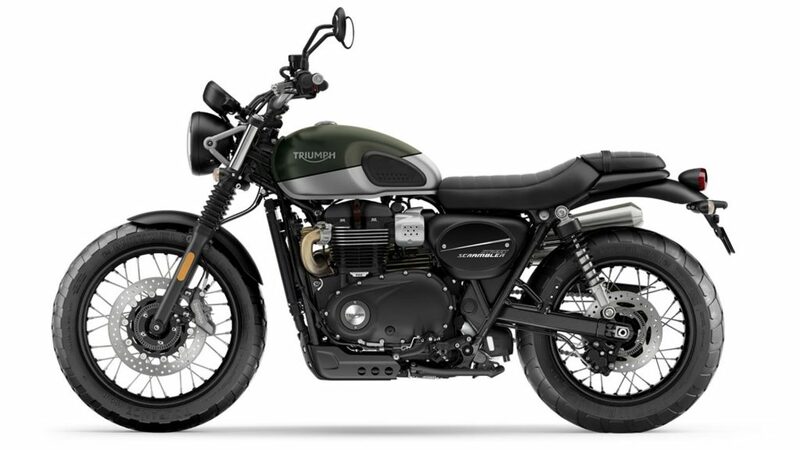 The lovely Triumph Street Twin will come with updated 900 cc twin cylinder engine. The Powerplant now pumps out 18% more power of 64 bhp instead of 54 bhp. 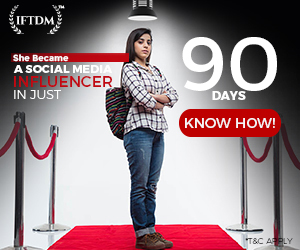 The maximum power is developed at 500 extra rpm. The torque output of the engine is same but peaks out earlier at 3200 rpm instead of 3800 rpm. You’ll also get updated suspension setup with updated Brembo brakes. Dual channel ABS, torque assist clutch and Traction Control will come as standard across all variants. We have another motorcycle here and this one is for off-road enthusiasts, the brother of Triumph Street Twin, the mighty Street Scrambler. The brother of Triumph Street Twin is also powered by the same 900 cc twin cylinder engine producing the same amount of power and torque. Scrambler will get higher mounted horizontal dual-exhaust. Dual purpose tyres will help the scrambler in off-roading. Speaking about the chassis, the frame is untouched but the 2019 Triumph Street Twin now gets a cartridge-type KYB front telescopic forks, the diameter and travel are retained at 41 mm and 120 mm respectively. Overall, both suspension units are completely fresh. The brakes have been updated too, with a single 310 mm front disc now gripped by a Brembo four-piston caliper, and a single 220 mm disc, gripped by a Nissin two-piston floating caliper on the rear wheel. The brakes offer excellent bite and progression and the standard dual-channel ABS works perfectly. 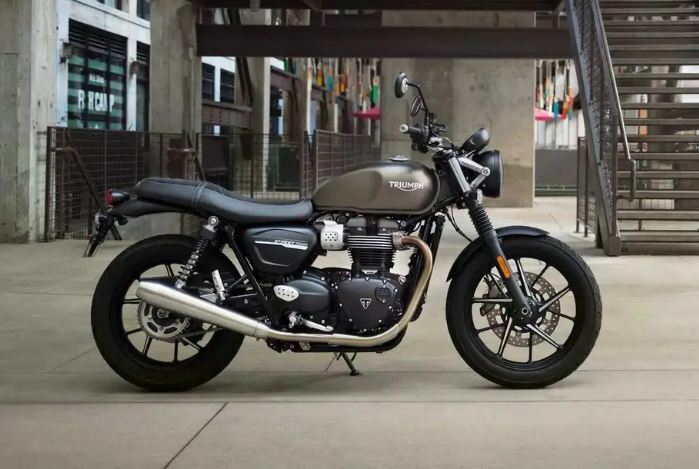 The British motorcycle manufacturer will reveal the price and availability of Triumph Street Twin and Street Scrambler on 14th February 2019, i.e, Valentine’s Day. It is yet to be seen whether price tags on these motorcycles will carry a higher price tag or the same as before. 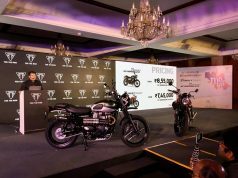 Currently, the Triumph Street Twin and Street Scrambler are priced at Rs 7.7 Lakh and Rs 8.6 Lakh ex-showroom respectively. 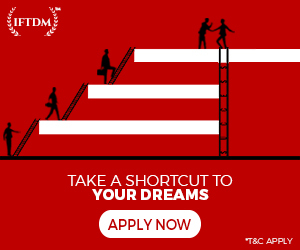 Previous articleWarning! 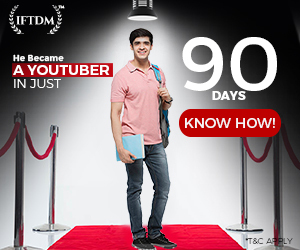 Not for Minors, This happens when a Road Roller runs over a Bike!